All Vet Supply carries everything you need to care for your cats. Choose from a large assortment of medications, grooming supplies, joint care, vitamins and more. Whatever your feline needs, you�ll find it here. Our fast and convenient shipping ensures that you get your cat supplies delivered quickly, right to your door. As your cat ages, their needs will change. All Vet Supply carries the items you need to care for your cat as they grow from a kitten to an adult. We even offer vaccines for veterinary practices, as well as wound care supplies. All of our fantastic cat products are made in the USA and are regulated by the Florida Department of Health. When you shop with us, you can feel confident knowing that you�re buying the highest quality cat care supplies available. 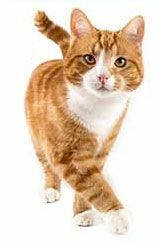 So whether you have one cat, ten cats or run a veterinary practice, All Vet Supply can keep your kitties healthy and happy. Trust us to provide you with the best selection of cat care items for your feline friends. We even carry an assortment of behavioral products to help you train your cat or break bad habits. Try us today, you won�t be disappointed.